Jennifer’s expertise in both public and private sector environments spans marketing, advertising, digital strategy, PR, issues management and corporate communications. 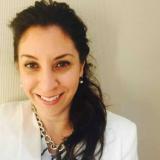 As Managing Director, Marketing and Digital Strategy for the Government of Ontario, Jennifer leads an integrated team to deliver social media strategy, digital data insights, market research and public education campaigns across multiple ministries including Health, Foodland Ontario, Education, Economic Development and Transportation. In her previous role, as Director of Brand and Marketing for Metrolinx, Jennifer led the vision and alignment of brand, digital and marketing strategy across the organization. Working with cross-functional teams across Metrolinx operations and services, including GO Transit, Presto and UP Express, she managed a team of strategic and creative professionals to build public understanding of the largest transit infrastructure development in Canadian history and help residents find ways to spend more time living and less time commuting. Jennifer is fueled by a passion for break-through creative work driven by strong insight and a determination to build responsibly brave public-sector brands.